Infiltrate a secret terrorist base, collect powerups, and fight bosses in this classic, pixely, jump-and-shoot game! The Black Hand of Fate, an international terrorist group, has constructed a secret base within the heart of a Volcano, and have built a massive army of bio-engineered soldiers and genetic monsters to take over the world! You are the only one that can put a stop to their dastardly plans. You are the Blasting Agent! 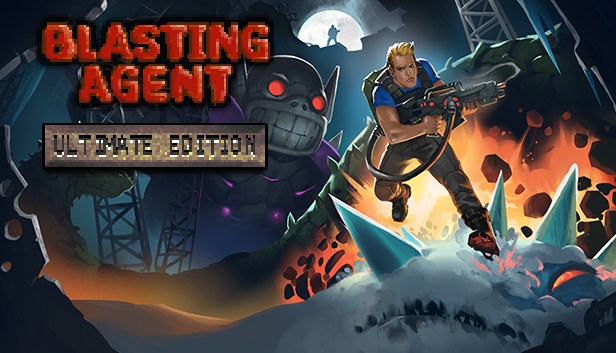 Originally released in December, 2009 as a Flash game, the original Blasting Agent was one of the first games made with the first version of Flixel - an ActionScript 3 game framework. It was was praised by fans and won 3rd place in Newground's Flixel February contest in 2010. Now, the game has been converted over to HaxeFlixel, a cross-platform, open source, free game development framework, retouched, tweaked, and cleaned up to create the definitive version of this classic game. Standalone executable - no more playing in the browser! Collect Gold and Defeat Enemies in each level to earn Rewards. 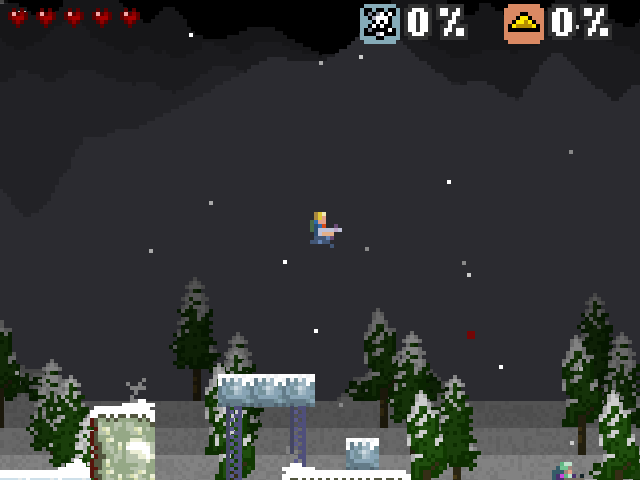 Collect at least 90% of the gold and defeat 90% of the enemies to unlock a new power-up in each level. Collect 100% in Hard Mode to unlock a costume from each level.